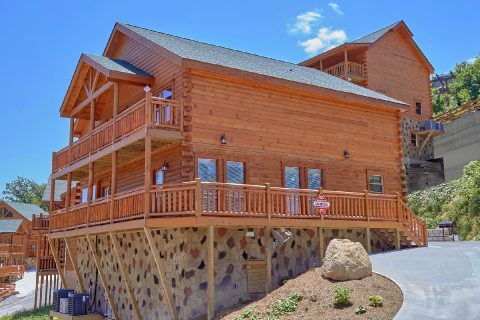 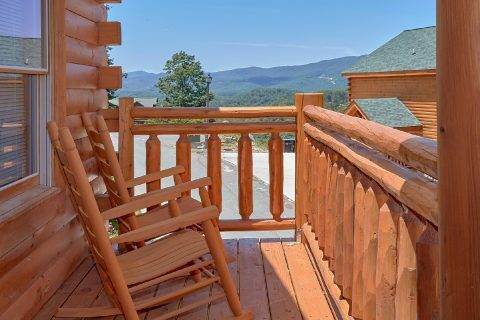 Nestled in a prime location just a short drive from Wears Valley Road near Pigeon Forge, you'll find a luxury Smoky Mountain cabin with everything you need for a memorable stay. 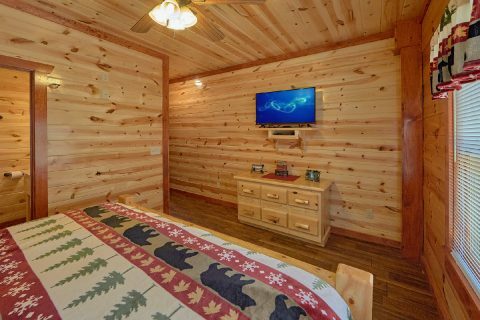 "Dive Inn" is a spacious, 5-bedroom cabin rental that sleeps up to 10 guests in comfort. 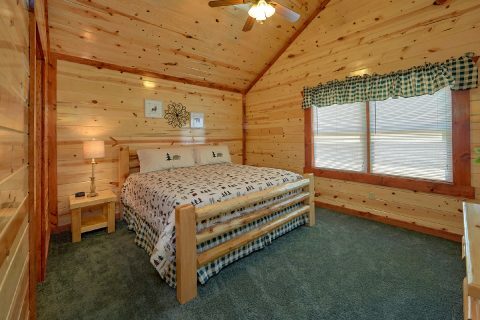 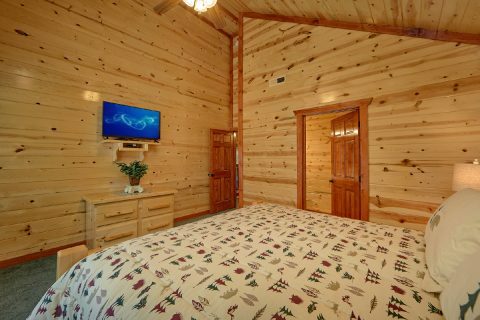 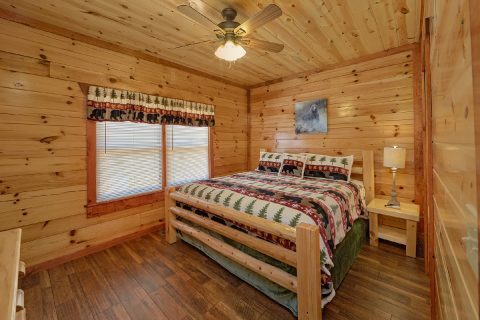 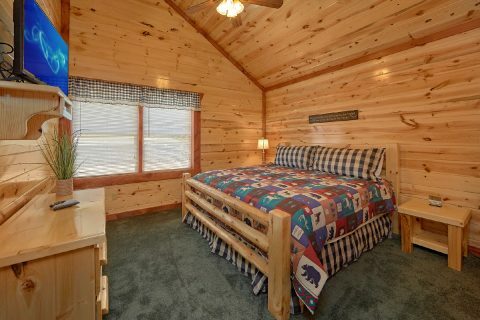 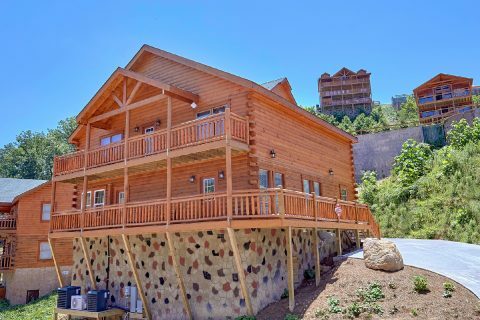 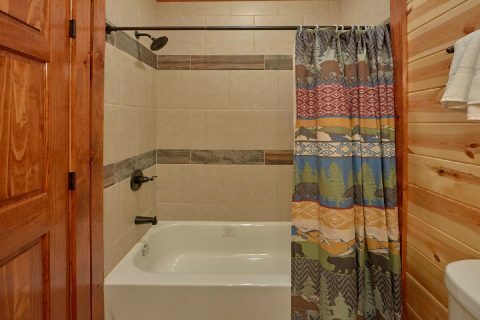 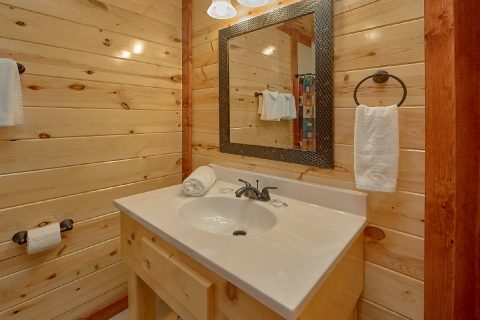 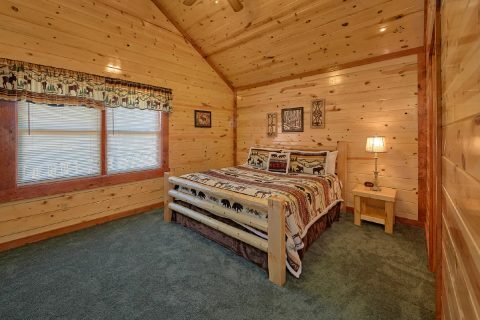 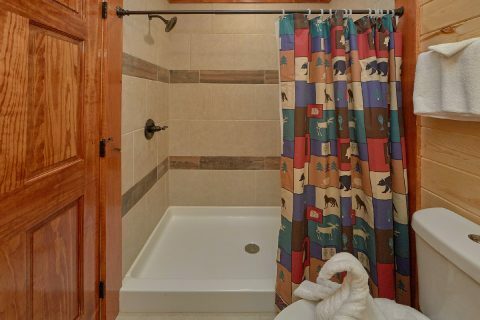 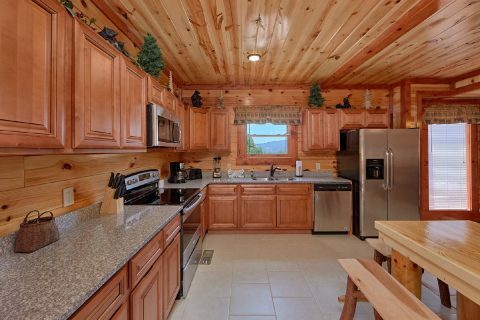 With its beautiful location in Black Bear Ridge Resort, this premium cabin keeps guests close to exciting attractions like Dollywood, The Titanic Museum, and The Island. 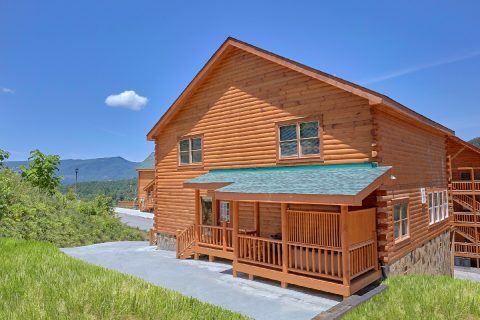 Additionally, this rental also provides access to the Great Smoky Mountains National Park by way of Wears Valley road to the Townsend Entrance or Metcalf Bottoms entrance. 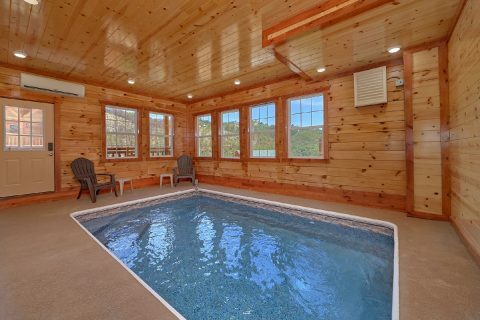 With a private indoor swimming pool on the main level, this premium rental provides year-round swimming for guests! 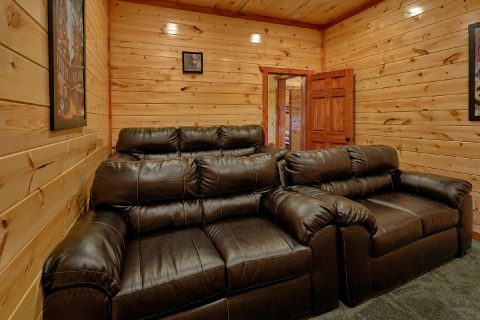 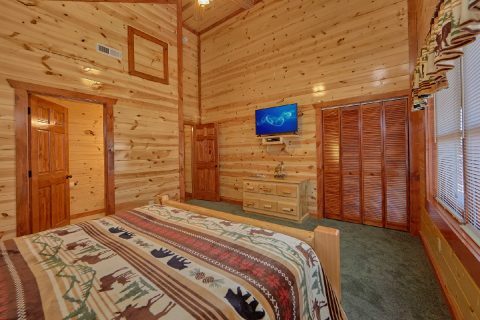 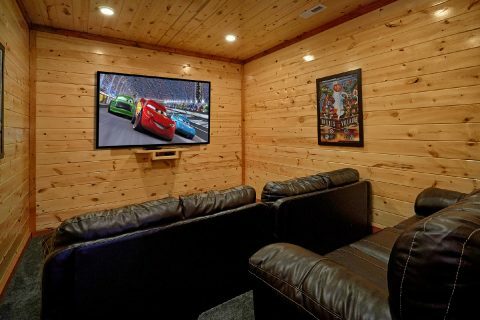 Upstairs, you'll find this cabin's theater room that's is perfect for watching movies during your stay. 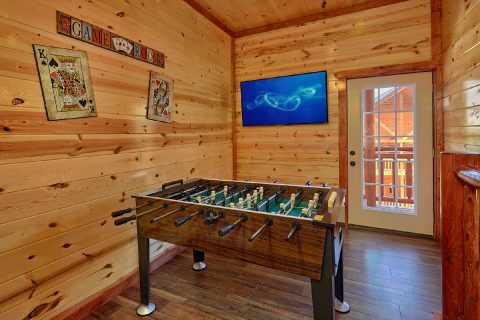 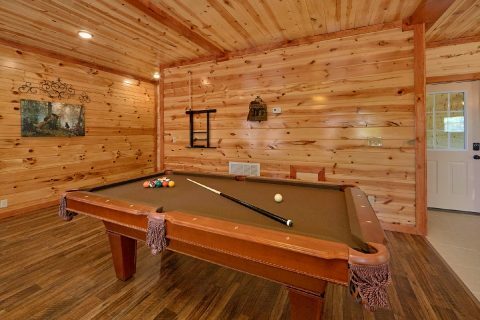 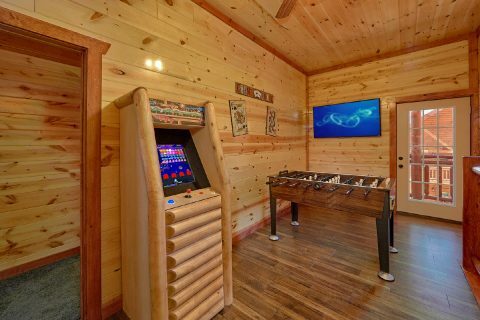 For even more entertainment, this cabin comes complete with a pool table, arcade game, and a foosball game. 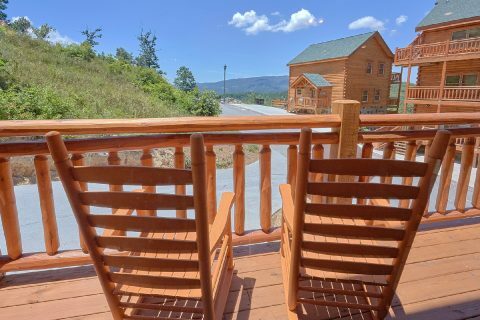 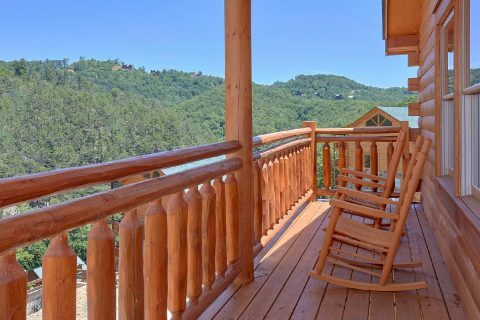 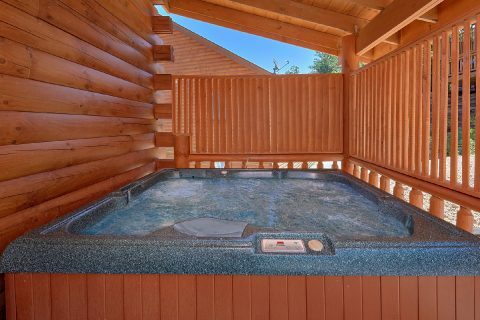 On this cabin's deck, you'll love sitting outside in the fresh mountain air or taking a dip in the hot tub. 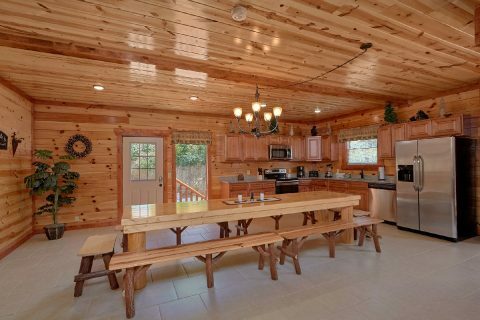 In the main living area, everyone can gather around the warm electric fireplace to enjoy each other's company while the chef of the group prepares a delicious meal in the nearby kitchen. 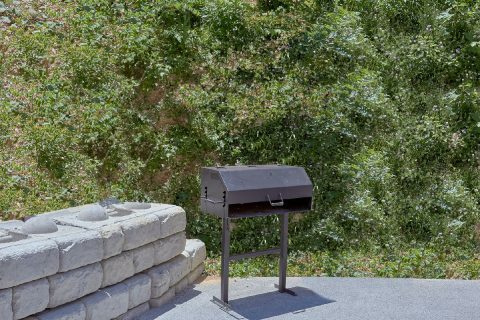 For a fun summer cookout, you can also use this cabin's charcoal grill. 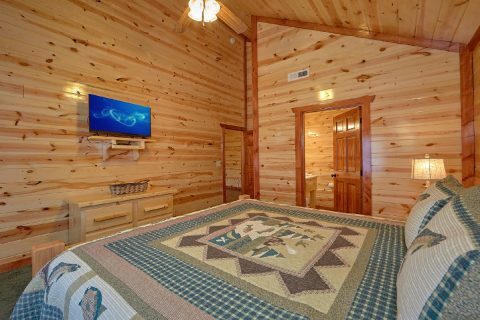 Last, but not least, "Dive Inn" offers convenient features like WiFi Internet and a washer/dryer for you to use. 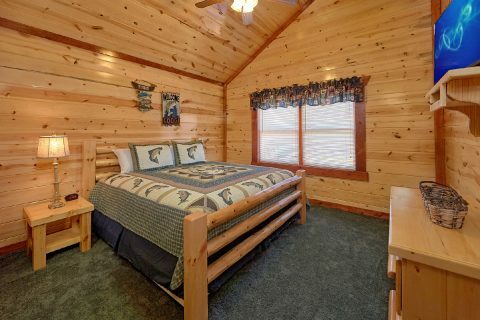 Once it's time to get some rest before your next day of vacation, you can look forward to sleeping in one of your cabin's 5 king-size bedrooms that each come with a private bathroom. 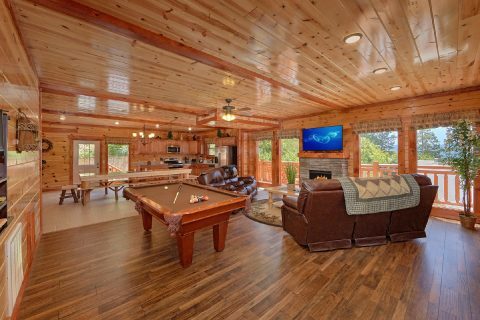 Book your luxury cabin with a theater room and private indoor pool with Cabins USA Gatlinburg to earn a 15% discount on your nightly rate! 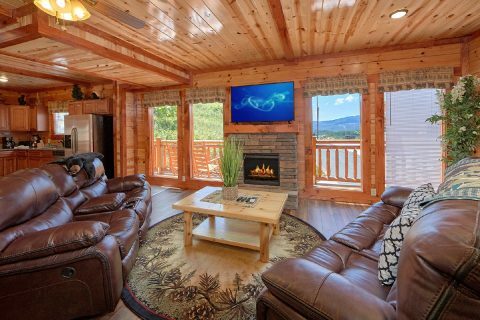 Enjoy a luxurious getaway in the Smokies and save your vacation dollars for enjoying the best the Smokies have to offer!